Somalia’s external debt at the end of December 2017 stands at $4.6 Billion. Largest stake is with Paris Club Creditors (54%), Non-Paris Club Creditors (13%) and Multilateral creditors (33%). 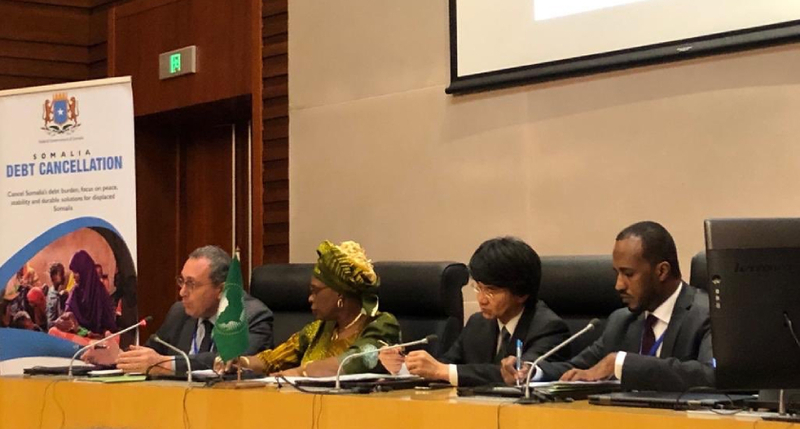 The African Union Commission and other international partners have urged external creditors to cancel Somalia’s $4.6 billion debt so as to allow the country to access financing to support its socio-economic advancement. They say this would enable the Horn of Africa nation to rebuild its war-torn infrastructure and work on resettling millions of people uprooted by conflict. According to Somali foreign minister Ahmed Isse Awad, the debt cancellation for Somalia would act as a means to one of the durable solutions being sought by the African leaders to end the cycle of forced displacements.